D. Allan Drummond is a a professor of biochemistry, microbiology, and human genetics who has a penchant for trilobites, the marine arthropods that first appeared more than 500 million years ago and went extinct 245 million years ago for unknown reasons. 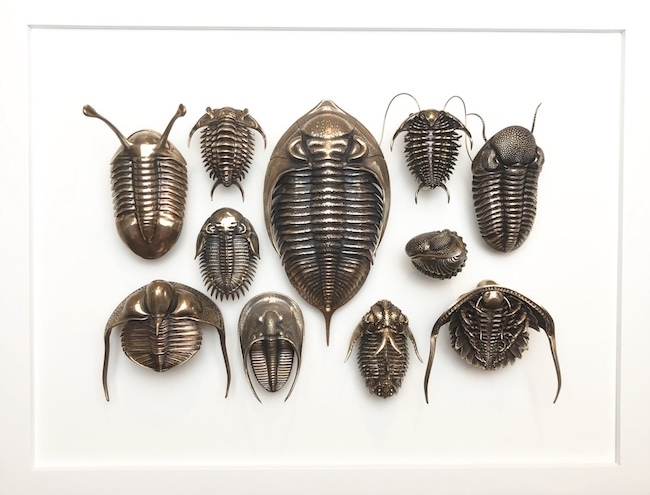 Drummond creates 3D renderings of his trilobite fossils and then has them cast in bronze. Now, Drummond has added insects to his practice, modeling jumping spiders, praying mantises, and stag beetles. Seattle's reborn Roq La Rue Gallery is presenting Drummond's first show of his work until January 6: D. Allan Drummond: "Curiosity"